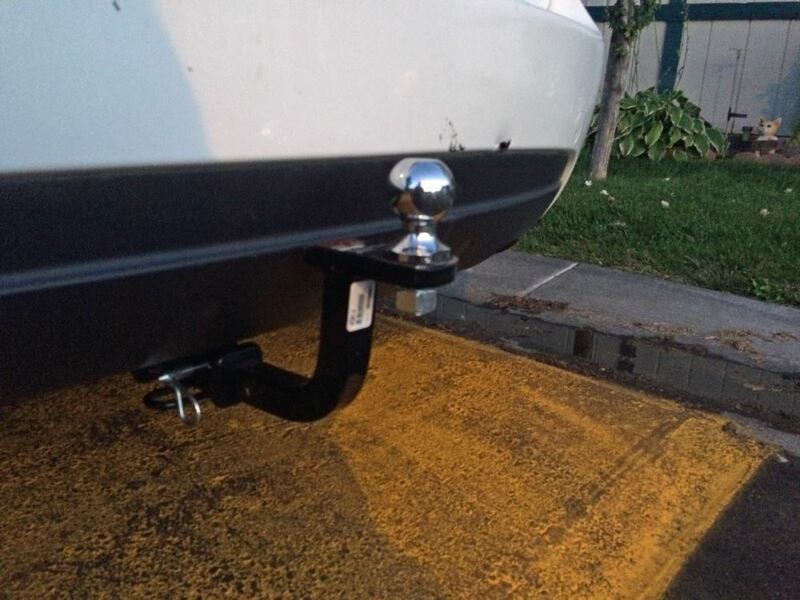 Corrosion-resistant ball mount is 9-5/8" long from the center of the hitch pin hole to the center of the ball mount hole and fits Class II 1-1/4" x 1-1/4" trailer hitch receivers. Ball mount can be used in the rise position only. 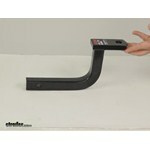 Call 800-298-8924 to order Curt ball mounts part number C45014 or order online at etrailer.com. Free expert support on all Curt products. 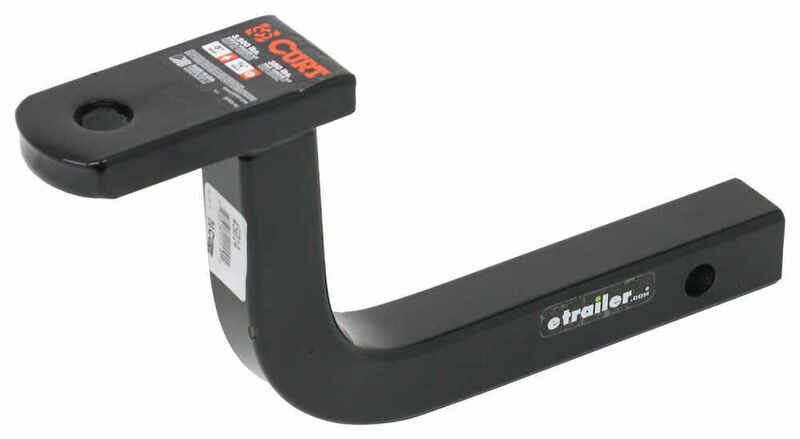 Guaranteed Lowest Price and Fastest Shipping for Curt Class II Drawbar - 5" Rise - 9-5/8" Long - 3,500 lbs. Ball Mounts reviews from real customers. Distance from center of hitch pin to closest edge of ball platform: 6-1/2"
Today, we'll be reviewing part number C45014. This is the Curt Class II Drawbar, rated at 3500 pounds. This is made from a sturdy solid steel construction. You can see here on the back side of our shank we have a nice solid shank. It's not a hollow point, has a really nice corrosion resistant black gloss, powder coat finish, so it's going to stand up well against rust and corrosion. This ball mount goes through a high quality manufacturing process. It is CNC Machine for strong, consistent cuts and welds and it goes through a seven stage washing method. It's going to help deliver a smooth clean surface. 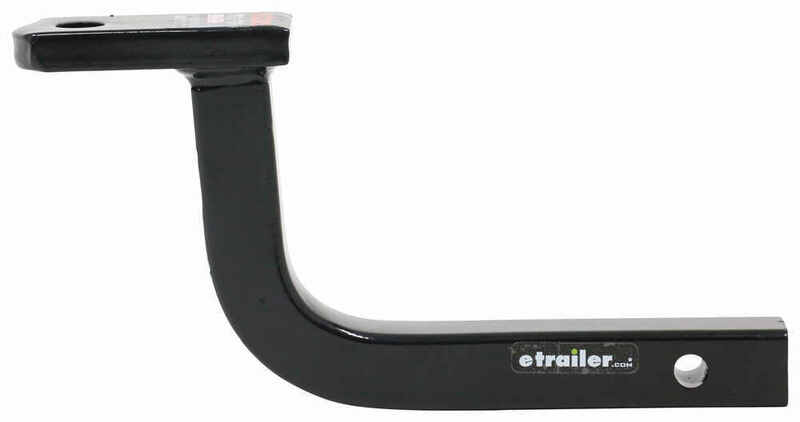 Please keep in mind when using this drawbar, it can only be used in the rise position. 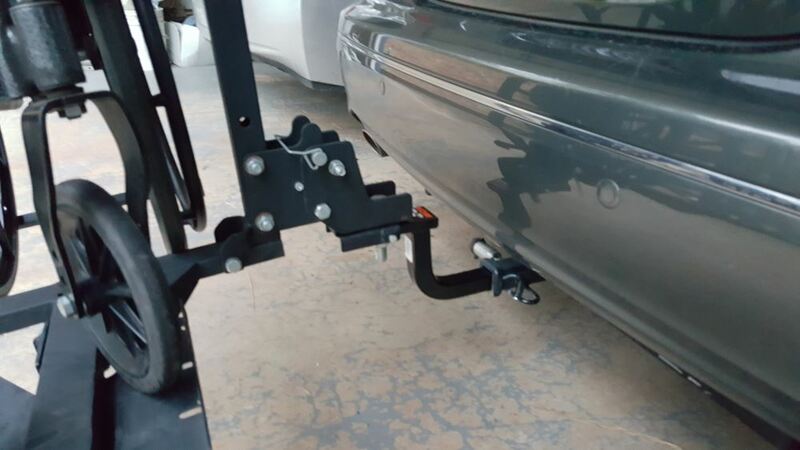 It is designed to fit 1 1/4 inch by 1 1/4 inch trailer hitch receiver and it's going to be compatible with class II only, has a gross towing weight of 3500 pounds and a maximum tow weight capacity of 350 pounds. This portion here is the portion that's going to slide into the shank of the hitch on your vehicle. 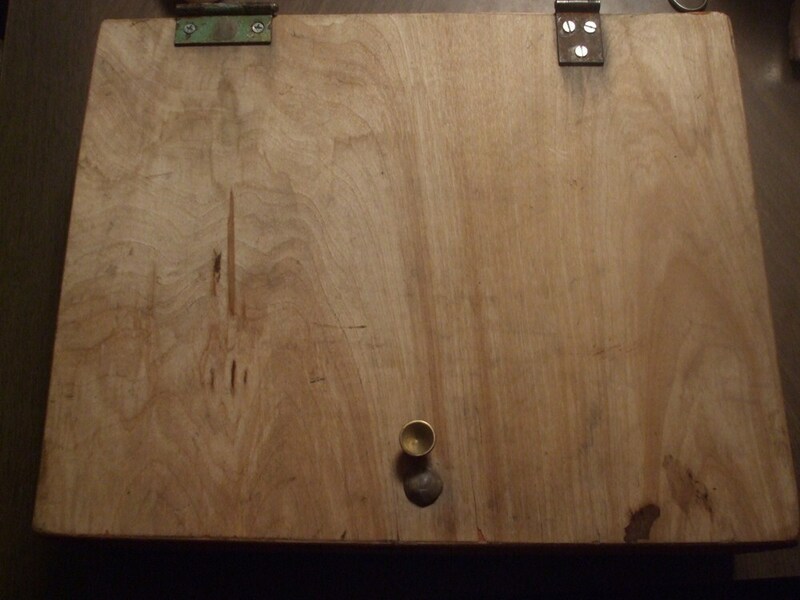 You would than line up your pinholes and install a half inch pin and clip or you could do a pin and lock. Those items are sold separately and you can refer to our website to view those products. 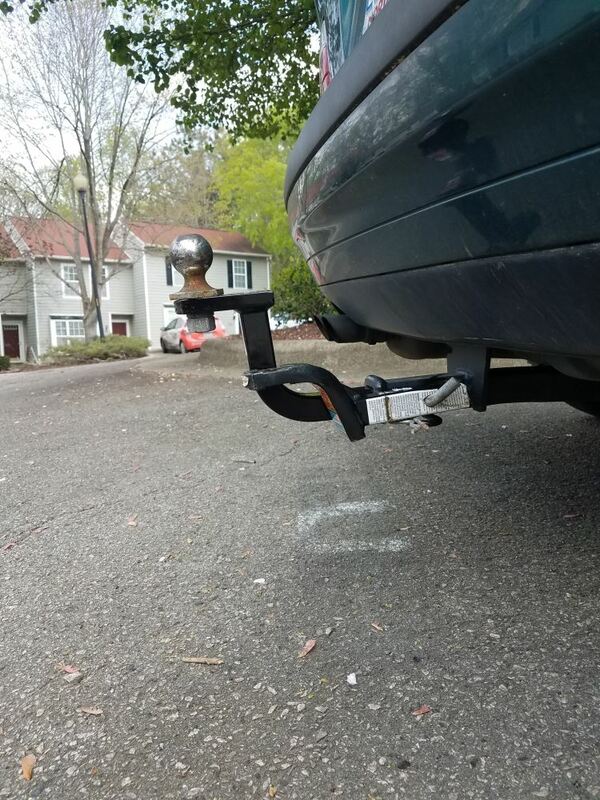 When choosing a hitch ball or an accessory with a shank you want to make sure that it does not exceed a 3/4 inch measurement. That's the diameter of our ball hole, so that's how much room we have to work with. Another measurement to go over real quick. I want to measure from the center of our ball hole to the center of our hitch pinhole. That's going to measure about 9 5/8 of an inch. When we have this installed, if we do the measurement from the inside top edge of our receiver tube to the top of our ball platform, we're going to have about 5 inches between those 2 points. That's where we get our rise measurement from. That's going to complete today's review of part number C45014. That's the Curt Class II Drawbar, rated at 3500 pounds. 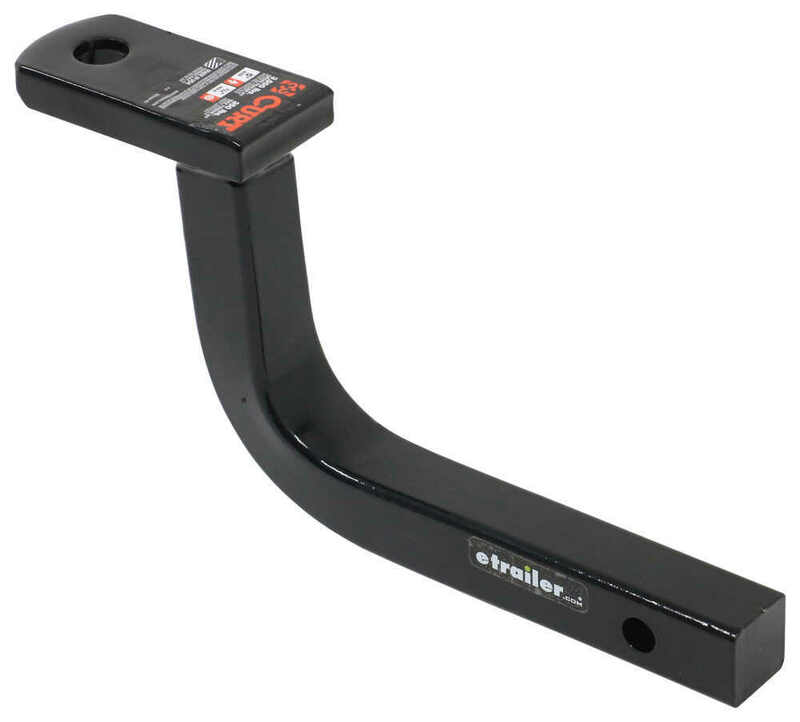 Order: RelevanceNewestRating - High to LowRating - Low to High Corrosion-resistant ball mount is 9-5/8" long from the center of the hitch pin hole to the center of the ball mount hole and fits Class II 1-1/4" x 1-1/4" trailer hitch receivers. Ball mount can be used in the rise position only. Working great. Highly recommended product! Still lovin the Curt ball mount ! I have used this for a Year now.I am as pleased now as I was when I first received it. 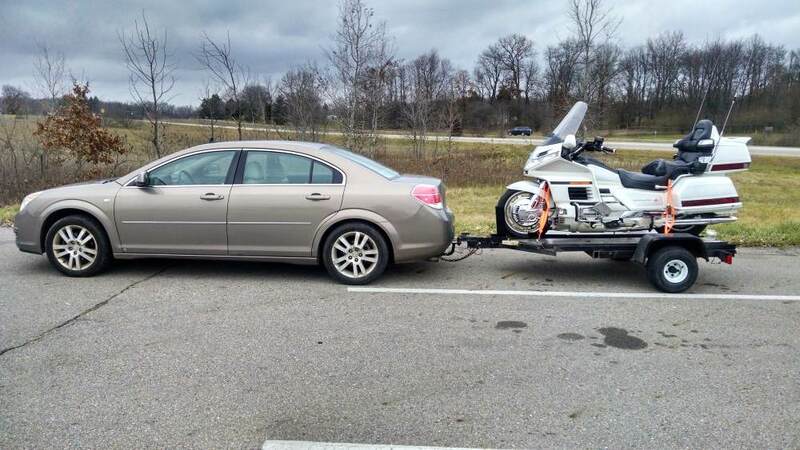 It has worked great for towing my boat as well as for towing a utility trailer. Due to the fact that my van sits so low to the ground, this 6inch uplifted shape is perfect. 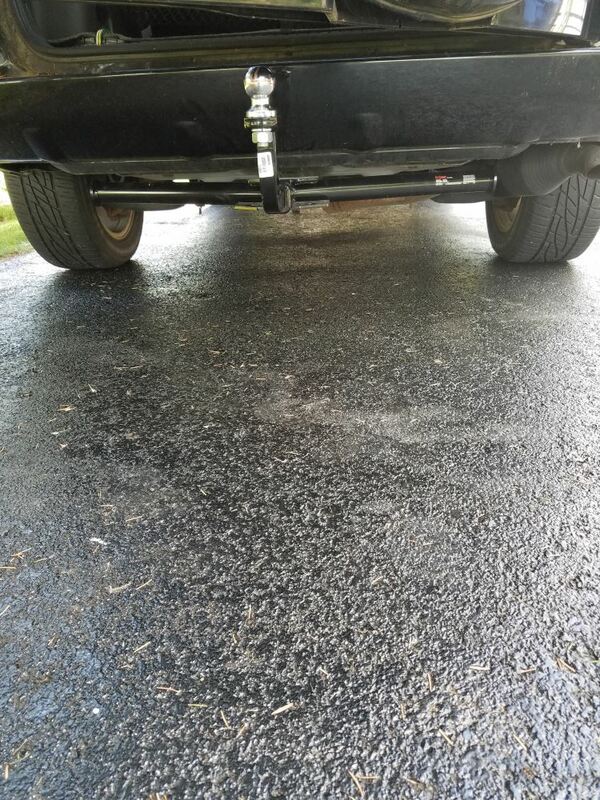 Would recommend to anyone that has a need for this type of hitch. 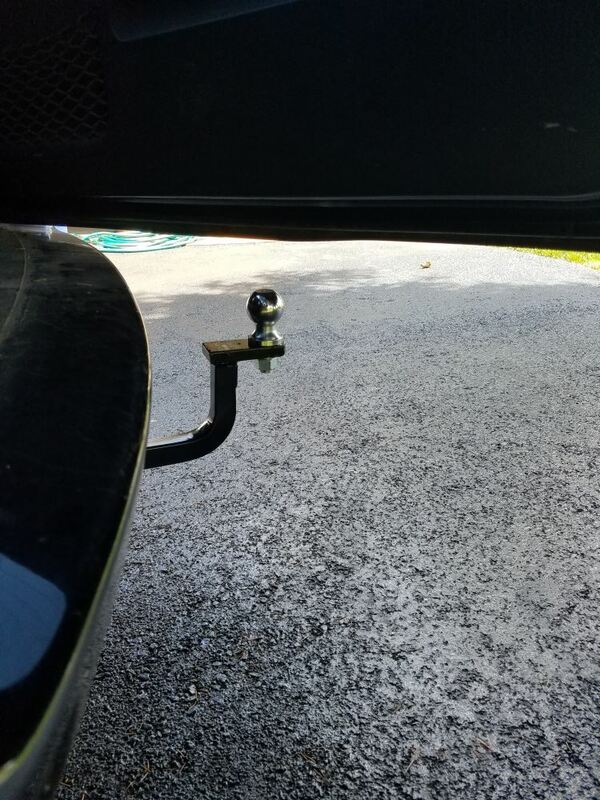 With Class I hitches like what fits your 2013 Toyota Corolla you have to use the recommended ball mount from the hitch manufacturer otherwise you void the warranty of the hitch. 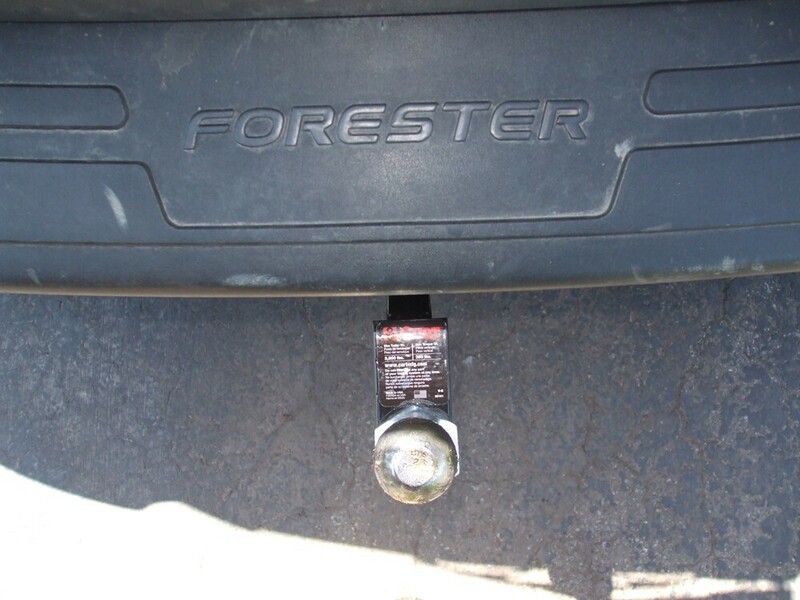 For the Curt hitch # C11265 for your 2013 Toyota Corolla you can only use the Curt ball mount part # C45521 to stay in compliance with your warranty. 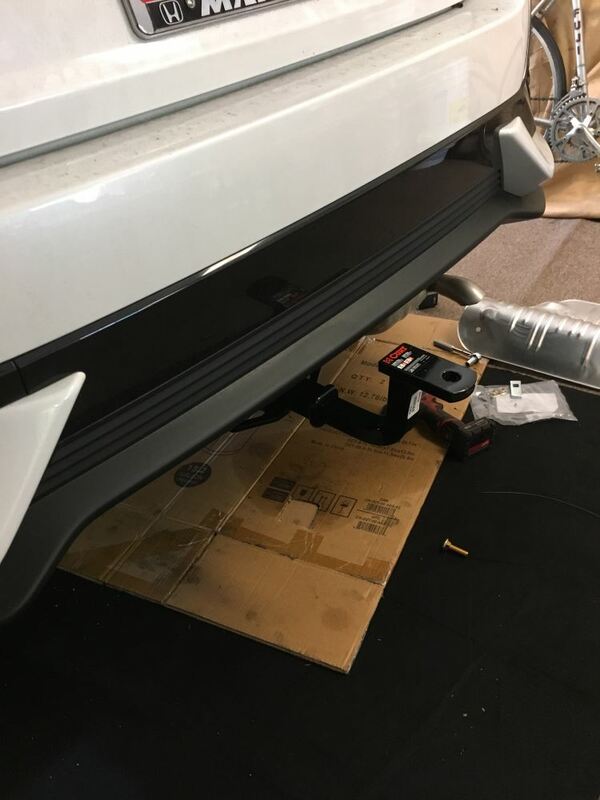 There are only a handful of Euro style ball mounts and like you said none of them have the amount of rise you need to tow the trailer level with your 2016.5 Mazda CX-5. The best option is to go with the regular ball mount # C45014 and a properly sized ball for the trailer coupler. If the coupler takes a 1-7/8 inch ball use # A-80. For a 2 inch ball use # A-82. 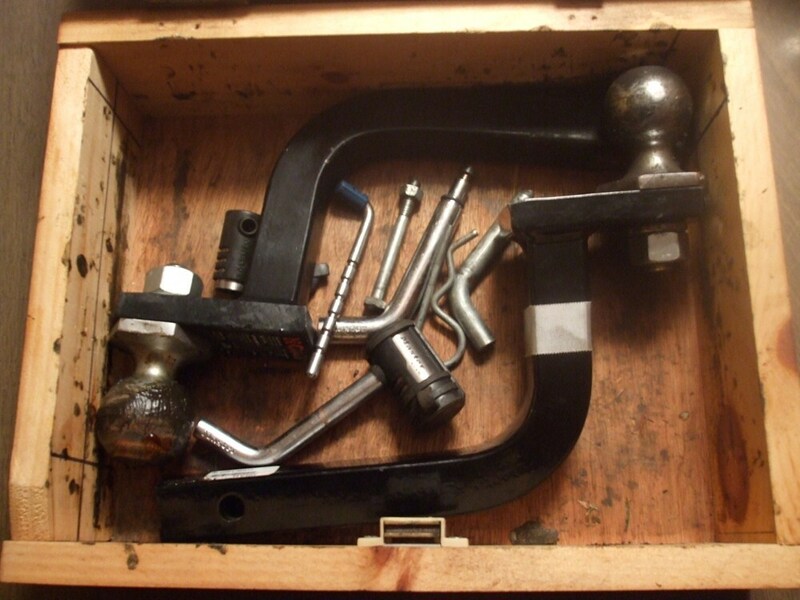 Class II trailer hitches and accessories all have 1-1/4 inch receivers/shanks. Class III accessories and hitches are 2 inch. 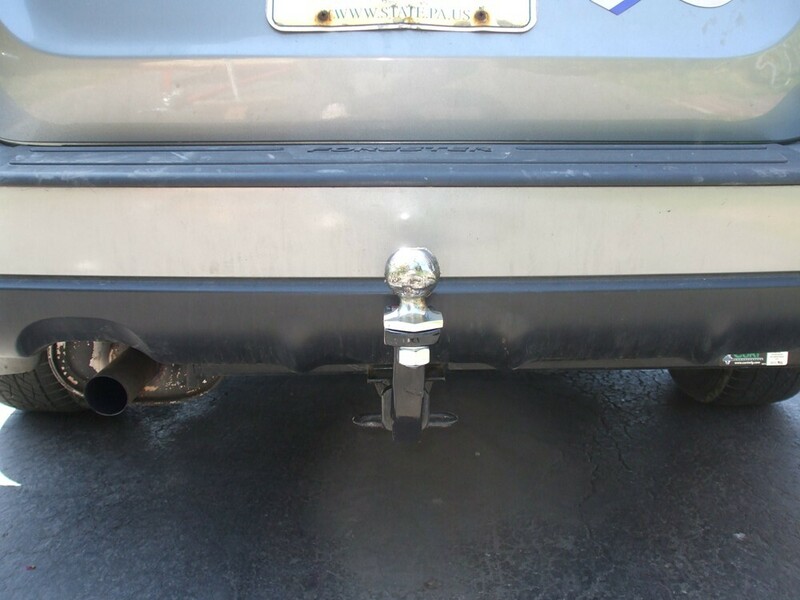 If you have a Class I or Class II trailer hitch then you are supposed to use the ball mount recommended by the trailer hitch manufacturer for warranty reasons. 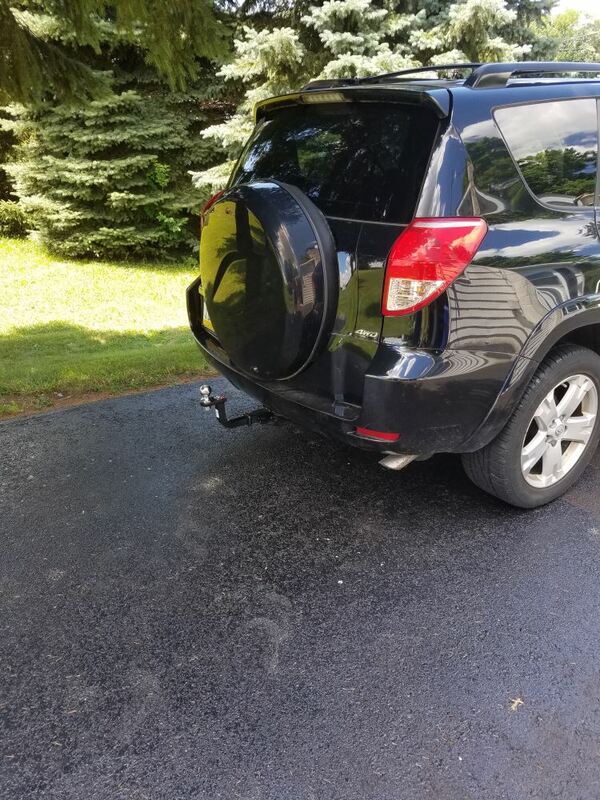 If you have a 2004 Scion xB then all of the hitches for it are Class I trailer hitches and you should be using ball mount # C45521. I have included some links on hitch classes and ball mounts for you. Curt Class I hitch receiver # C11771 is a confirmed fit for your 2007 BMW 3 Series Sports Wagon, both the i and the xi versions. 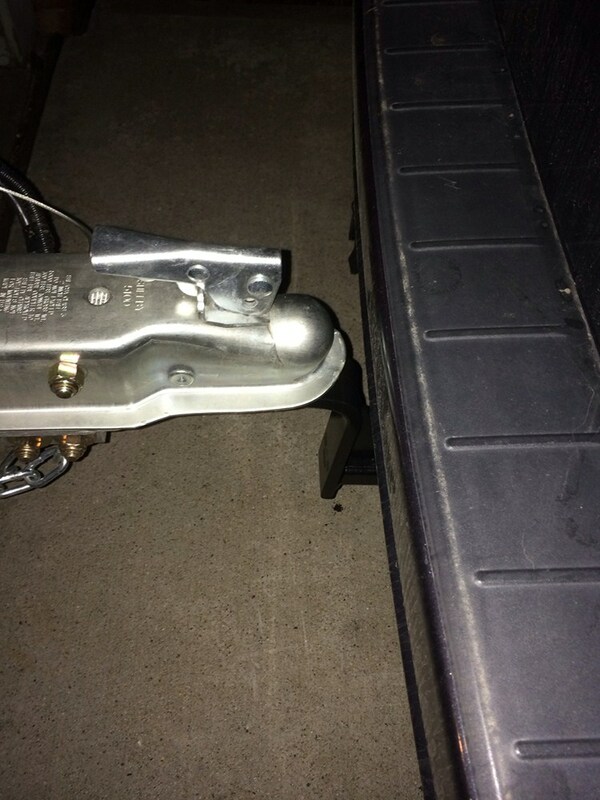 You can use ball mount # C45014 in this hitch to get the 5-inches of rise you need. 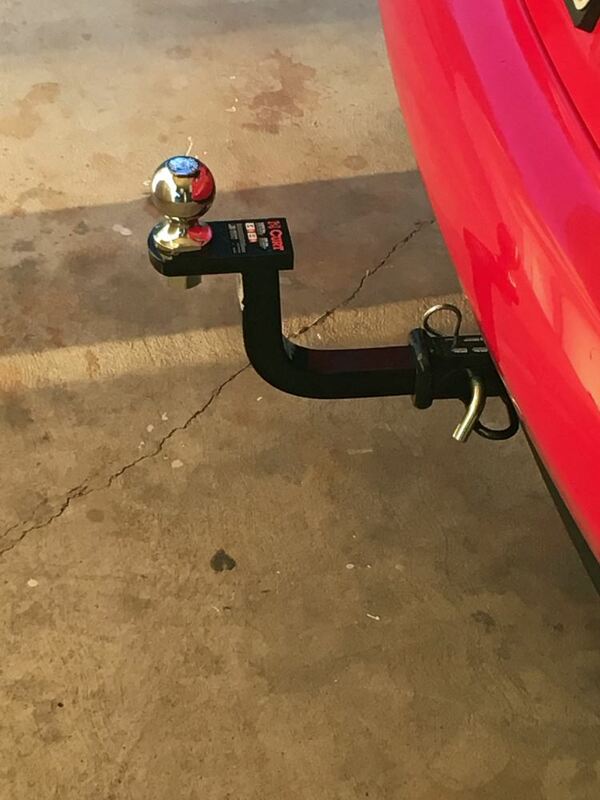 My contact at Curt confirmed there is no issue using this Class II ball mount in your Class I hitch.